The changes are to take effect from 1 November. 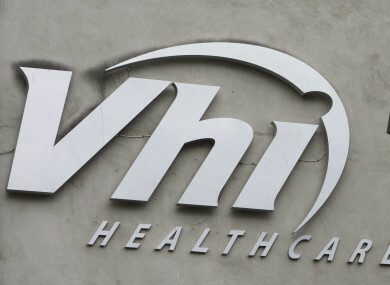 HEALTH INSURER VHI has said that it is set to lower the price on 26 of its 78 plans. It also said that it was adding extra benefits to a number of plans including cancer care benefits, maternity enhancements and a new STI screening benefit. There are price reductions in young adult rates, child rates and adult rates across a number of plans. VHI said that “affordability remains a key issue for customers”. For young adult plans – for 18-20 year olds – the price across most plans has reduced by an average of 7%. The average reduction on child rates is 12%. The reductions in adult rates are more modest, ranging from 1% to 5% in the HealthPlus suite. These adult plans, formerly called B, C, B Excess and B Option, will fall by 1% while the old plans E and D will see a price reduction of 5%. The majority of these changes will take effect from 1 November. The state-owned company said that it had also made a significant change in primary care benefits, through enhanced day-to-day cover and through the reduction of outpatient excess levels. Dermot Goode, from totalhealthcover.ie, called it a “welcome and surprising development which bucks the usual trend of price increases in the run up to the peak renewal period”. He said: “While it’s too soon to tell what affect this will have on the market overall, it will be interesting to monitor the reaction from the competition. Declan Moran, director of business and marketing at VHI, said that the company was re-investing in its customers to “deliver more value”. Last year, the company raised prices on a number of plans by an average of 3%. At the time, Moran said that the main reason for that increase was “the rising cost of claims and in particular the rising cost of claims in public hospitals”. Email “VHI set to cut the price of health insurance on 26 of its plans”. Feedback on “VHI set to cut the price of health insurance on 26 of its plans”.